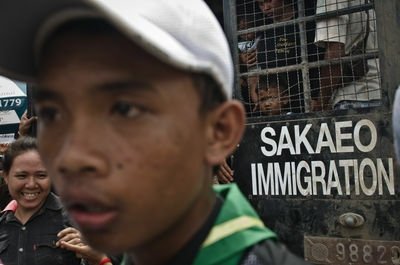 About 200,000 migrant workers from Cambodia have fled Thailand over the last week, amid rumors of violent crackdown on illegal workers in the country. Thailand’s military junta said it would tighten restrictions on migrant employment to prevent illegal workers, forced labor and human trafficking. Cambodian migrant workers are a key component of the work force in Thai industries including construction, fishing and agriculture. Poipet, Cambodia. 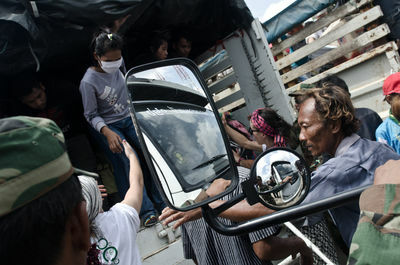 Cambodians wait in trucks in the Thai-Cambodia border town of Poipet. 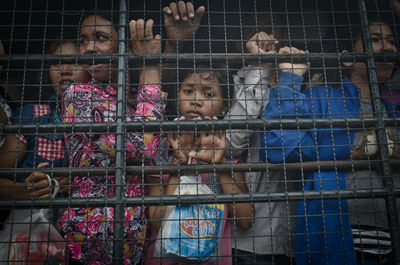 Hundreds of thousands of them fled Thailand amid rumors of a violent crackdown on illegal workers. Many of them left the country on the back of military trucks with very little ventilation or open top trailers with no protective cover. Poipet, Cambodia. 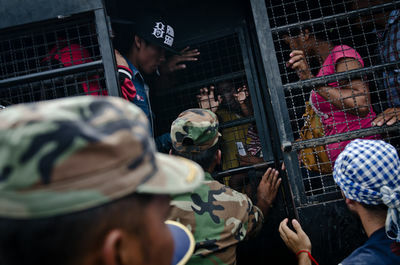 Cambodian families get out of Thai immigration police vehicles as they arrive at the Thai-Cambodia border town of Poipet. Poipet, Cambodia. 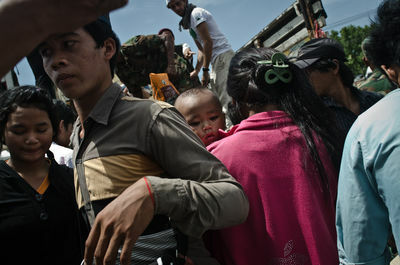 Cambodian military personnel help families to retrieve their baggage. On arrival, the workers are warned to protect their precious belongings against thieves who have been taking advantage of the chaotic situation. Poipet, Cambodia. 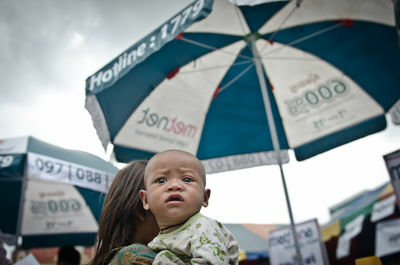 A young girl carries a baby in the Thai-Cambodia border town of Poipet. Cambodian labourers are a major component of the work force in Thai industries including construction, fishing, and agriculture. Hundreds of thousands fled Thailand over the last week amid rumors of violent arrests and deportation of illegal foreign workers. Poipet, Cambodia. 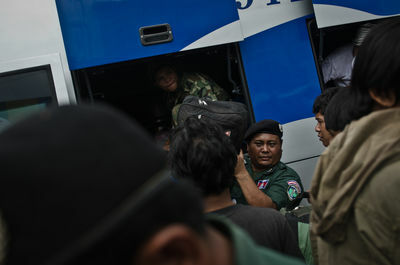 Cambodian families wait in the back of the police immigration vehicles, as they attempt to flee Thailand. Poipet, Cambodia. 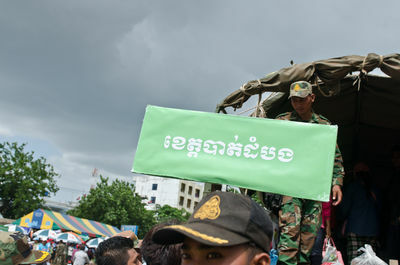 Cambodian armed forces hold signs to direct returning Cambodian nationals to their home provinces. Poipet, Cambodia. 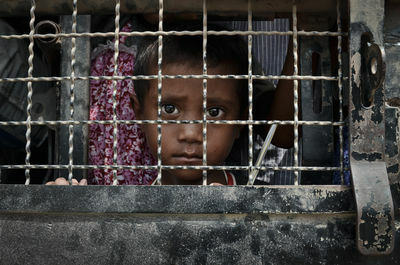 A child looks out of a truck carrying Cambodian migrant workers fleeing Thailand. Poipet, Cambodia. 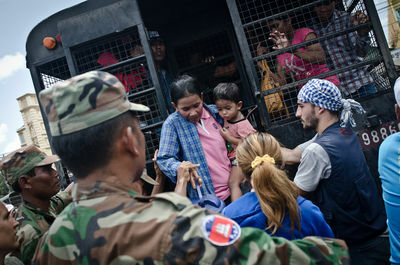 Soldiers help Cambodian families get out of the immigration vehicles as they arrive at the Thai-Cambodia border town of Poipet. Poipet, Cambodia. 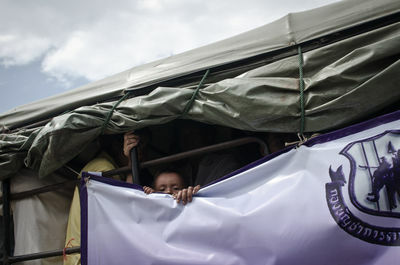 A child looks outs of a truck carrying the Cambodian migrant workers that are fleeing Thailand. Poipet, Cambodia. An unconscious child with heatstroke receives treatment in a Cambodian Red Cross ambulance in the Thai-Cambodia border town of Poipet. Poipet, Cambodia. 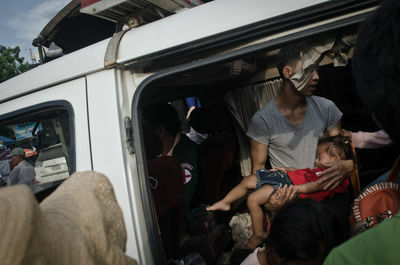 An unconscious child, suffering from heat stroke, receives treatment in a Cambodian Red Cross ambulance in the Thai-Cambodia border town of Poipet. Poipet, Cambodia. 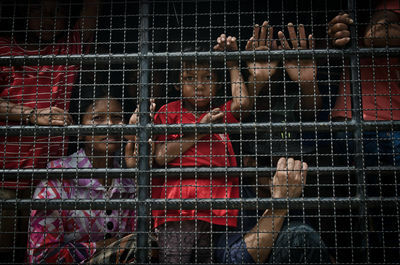 Cambodian families, fleeing Thailand, wait in immigration police vehicles. 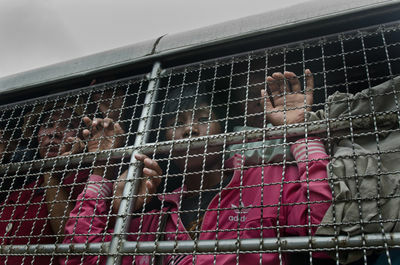 About 200,000 Cambodian migrants fled the country in the last week. The Thai military junta deny that it forced the Cambodians to leave. Poipet, Cambodia. 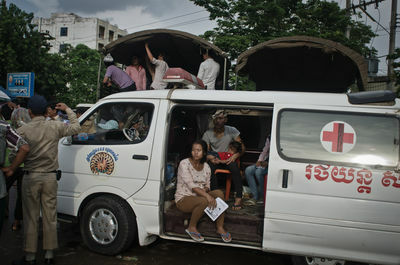 Cambodian families get out of the immigration vehicles as they arrive at the Thai-Cambodia border town of Poipet. Poipet, Cambodia. 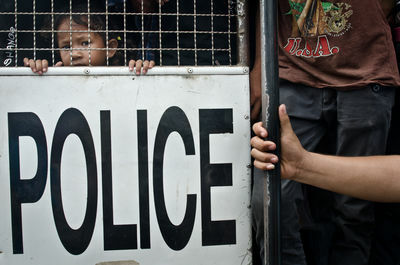 A child in a Thai immigration police vehicle. Poipet, Cambodia. 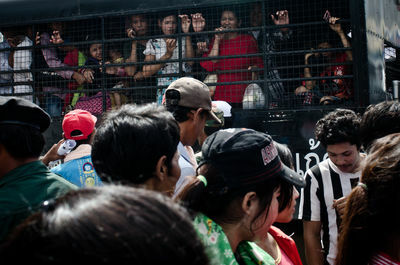 Cambodian families who fled Thailand are waiting in immigration police vehicles. 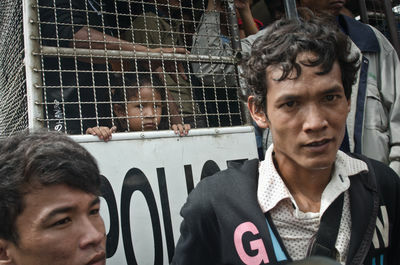 About 200 000 Cambodian migrant workers have fled the country over the last week. 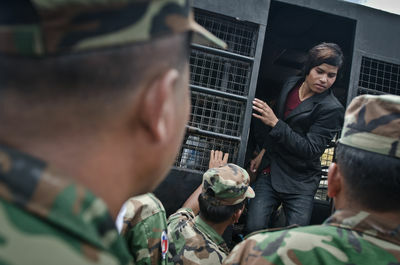 The Thai military junta has denied that it is forcing Cambodians to leave. Poipet, Cambodia. 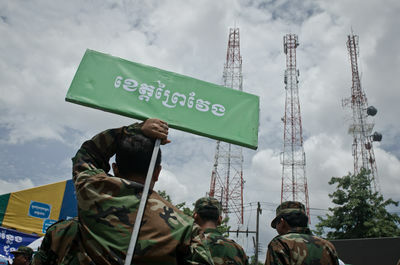 Soldiers hold signs bearing the names of the home-towns of migrant workers returning back to Cambodia on the Thai-Cambodia border town of Poipet. Poipet, Cambodia. A family in the back of an immigration police truck in the Thai-Cambodia border town of Poipet. Hundreds of thousands of Cambodian labourers fled Thailand amid rumors of violent crackdown on illegal workers. Many of them left the country in the back of military trucks with very little ventilation or on open-top trailers with no protective cover. Poipet, Cambodia. 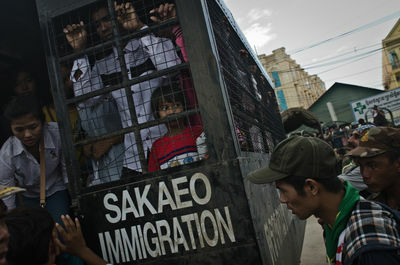 A child in an immigration police truck in the Thai-Cambodia border town of Poipet. Poipet, Cambodia. Hundreds of thousands of Cambodians fled Thailand amid rumors of a violent crackdown on illegal workers. Many of them left the country on the back of military trucks with very little ventilation or open top trailers with no protective cover.